A far-right politician dubbed “Brazil’s Donald Trump” was stabbed during a campaign rally on Thursday. 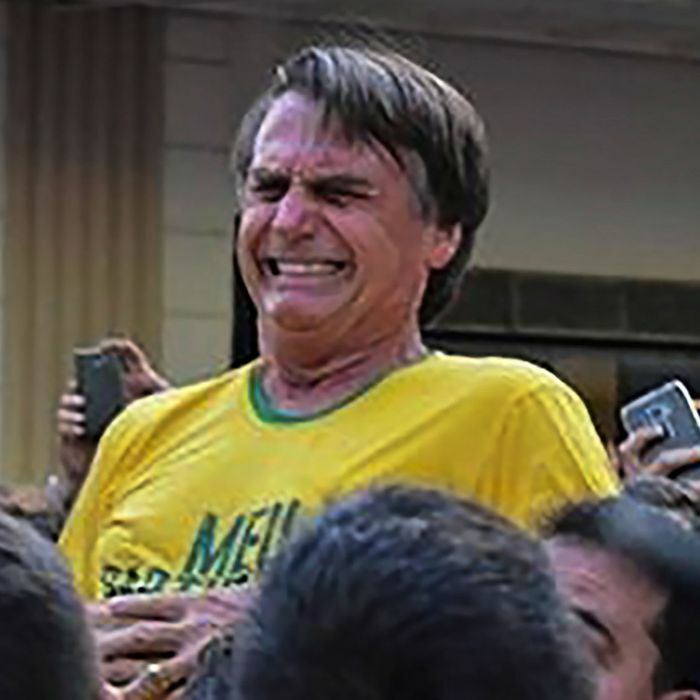 The incident, which occurred when Jair Bolsonaro was being carried on the shoulders of supporters in Juiz de Fora, was captured on video. Police told the Associated Press that they have a suspect in custody. The man, police said, was jumped by Bolsonaro’s supporters after the stabbing and badly beaten. He is also currently second in Brazil’s presidential polls, trailing only former president Luiz Inácio Lula da Silva, who is in jail and has been barred from running for another term.